While hundreds of other home-improvement companies have come and gone, we’ve been in business since 1990. Unlike other home-improvement companies in the area, we aren’t pushy. We’re completely honest with our customers, and our only concern is giving you great quality at a fair price. We adhere to the principles of respecting our customers, and treating them like people-not dollar signs. Do you carry workers’ compensation insurance or liability insurance? We are fully insured for both workers’ comp and general liability coverage. We will be happy to provide certificates of insurance for you. Do you really provide free, no obligation estimates? Absolutely, we value each of our potential customers, and it is no inconvenience whatsoever to come have a look at your home. We sincerely appreciate the opportunity to provide you with a complimentary estimate for the work that you might require. Our experienced estimators will come out and evaluate your situation and provide an honest assessment including what we would recommend. Are You A Member of the Better Business Bureau? How does that benefit me? Normal weathering of asphalt roofing shingles will not cause leaking. Flashings are crucial areas that must be watertight to avoid leaks. These are the areas most frequently identified as the causes of leaks. 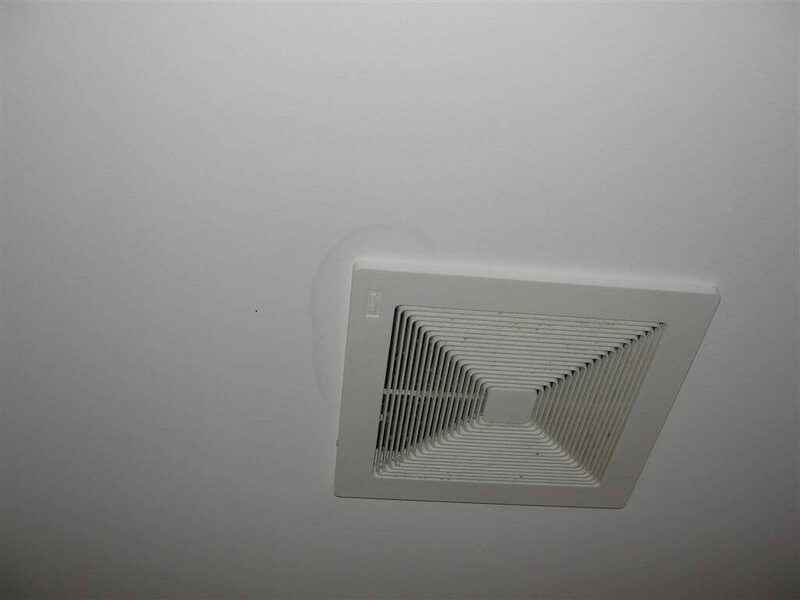 Inadequate ventilation can cause ice damming, frost and condensation accumulation. What signs are there that my roof is damaged? We’ll inspect your roof and investigate the problem to determine if a repair or a replacement is needed. We’re experts in residential roofing for Central and southern Alberta homes and know exactly what to look for! If there’s extensive damage in a roof valley where snow and rain flow through or your roof is older in age, we typically recommend a replacement. Most roofs last around 20 to 25 years, but some materials like metal or slate can last much longer. A great time to replace your roof is in the fall when the weather is cooler but snow and ice aren’t yet a threat. But before you do anything, take the time to consider your building and your budget. What materials do you like or would go well with your home? How much money can you afford to spend? We can help you navigate this process and provide ample information about our competitively priced services. Typically a roof should last 15 – 50 years. This is dependent on the type of product installed along with the correct ventilation. In today’s market, there are many types and styles of shingles available. The various types of shingles come with warranties representative of the life expectancy of each type. Generally speaking, the heavier the shingle, the longer the warranty. All other things being equal, the weight difference comes from the amount of waterproofing material (asphalt) used during manufacture. A typical residential roof replacement takes about 1-3 days to complete. In the Roofing industry, safety can be a concern. Our installers are seasoned professionals that adhere to safety regulations and are fully covered under Workers Compensation. We also carry a full $5,000,000.00 liability insurance policy to ensure that your home is protected should an accident occur resulting in damage to your home. We provide all manufacturers warranties along with a 10 year workmanship warranty. Why Are There Granules in My Gutter? Shingles applied on very slight slopes (2″ in 12″ or less), are prone to increased levels of granule loss due to the poor drainage capabilities of the roof. A certain amount of granule loss is to be expected. Shingles are made with an excess of granules on the surface called “hitchhikers”.If the underlying asphalt is prematurely exposed, the appearance and service life of the shingle may be affected. Ventilation is a crucial factor in the life of a roofing shingle. Heat build-up in the hot summer months, as well as the cold weather of winter will accelerate the aging process of your asphalt roofing shingles. Proper air circulation, regardless of the weather outside, will greatly reduce the chances of leaking, blistering, distortion, curling, rotting of wood structure, wet insulation and many other potential problems. Why is Underlayment So Important? 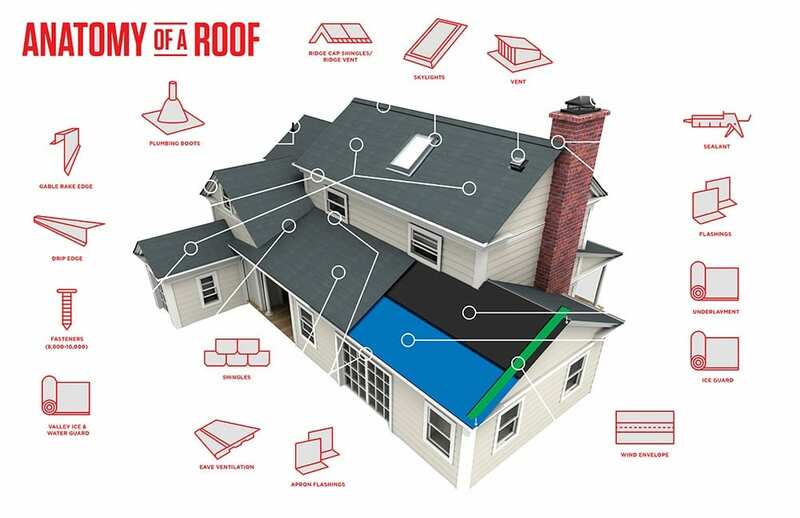 Whether you decide on a traditional (felt) underlay or synthetic underlay, both are beneficial for adding that extra layer of protection for your roof deck. Each one will protect the roof deck from water penetration due to blow offs or wind-driven rain. Underlays will also protect the shingles from resins that can bleed through the plywood. How many layers of shingles can I have? While no law exists that prohibits having two layers of shingles, we do not recommend it. The savings of putting new shingles over the first layer of shingles are negated by the consequences. Adding more weight to your roof deck affects the structure, limits the lifetime of the shingles, and prevents your roofing contractor from identifying problem areas. What is Being Done to Protect My Property Through the Roofing Installation? All grounds and surrounding area of your home will be treated with utmost care. All disposals are done in house, not by a third party, Lummerding Exteriors uses trailers to dispose of old material which provides accessibility without imposing any damage to grass or driveways. Once job is complete a thorough roof and ground inspection will be completed. 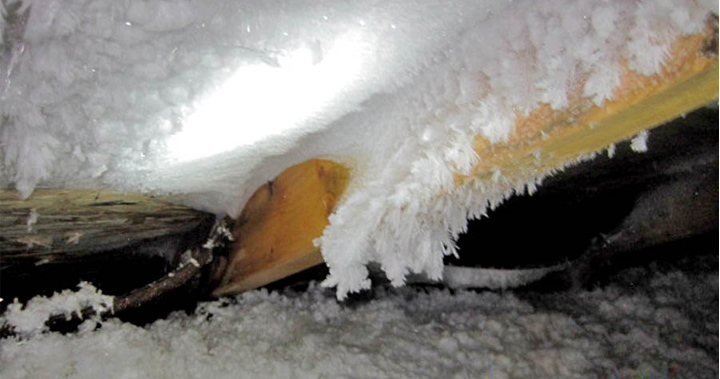 What Are Ice Dams? How Can They Be Avoided? Insufficient attic insulation allowing the heated air of the attic to reach the roof deck and melt the snow. (This could happen anywhere on the roof surface). Poorly placed gutters prevent snow and ice from sliding off the roof. 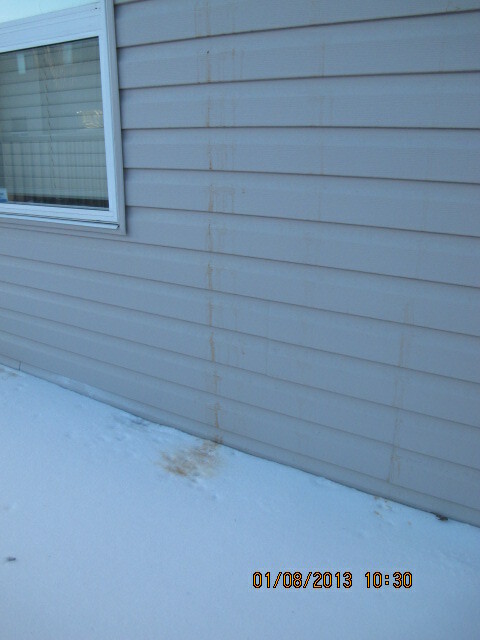 Make sure that your gutters or eaves troughs are lower than the slope of the roof allowing snow and ice to glide off. What do you do about skylights? For a new skylight installation there’s no better time to have the work done than when you’re replacing the roof on your house. If you have skylights that leak or give you other problems, we will come out and diagnose the problem to the best of our ability. In this day and age skylights on shingle roofs have become much more common, and affordable. If you would like to add a skylight let our estimators know and we will provide you with a variety of options. How can I (the homeowner) help prevent future roofing problems? At least annually, take a look at your roof to see if there are any cracked or missing shingles, deteriorated flashing, loose seams and other signs of problems. 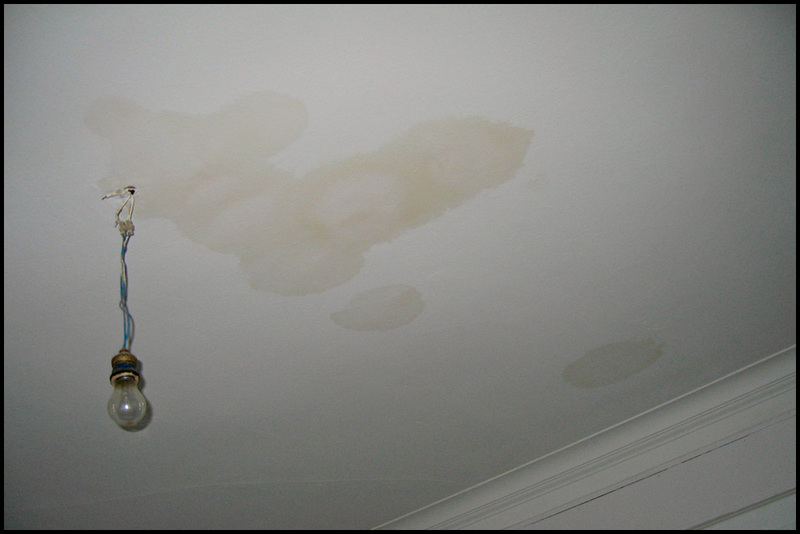 Indoors, check for discolored drywall, peeling wallpaper or cracked paint, which may be due to the roof. If you see any of these, call Lummerding Exteriors, for an immediate evaluation (the faster we can solve your problem, the more we can eliminate further damage). Attic rain is a relatively new phrase. It is the result of excessive accumulations of moisture (frost) in the attic or walls of a home. It is common to have some condensation or frost in attics and inside walls, but it should only be in small amounts. This is not an issue as these small amounts will usually sublimate (change directly from frost to vapour) before it melts. At times there can be significant accumulations of frost. 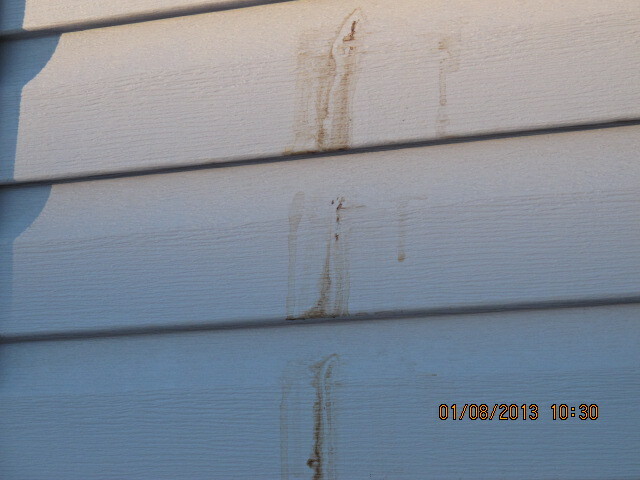 When this melts it can cause stains in the ceiling, dripping inside lights or in windows, and, the most common giveaway, stains on exterior siding. Attic rain is the rapid melting of excessive frost in the attic or walls. It is caused by a poor understanding of building science. 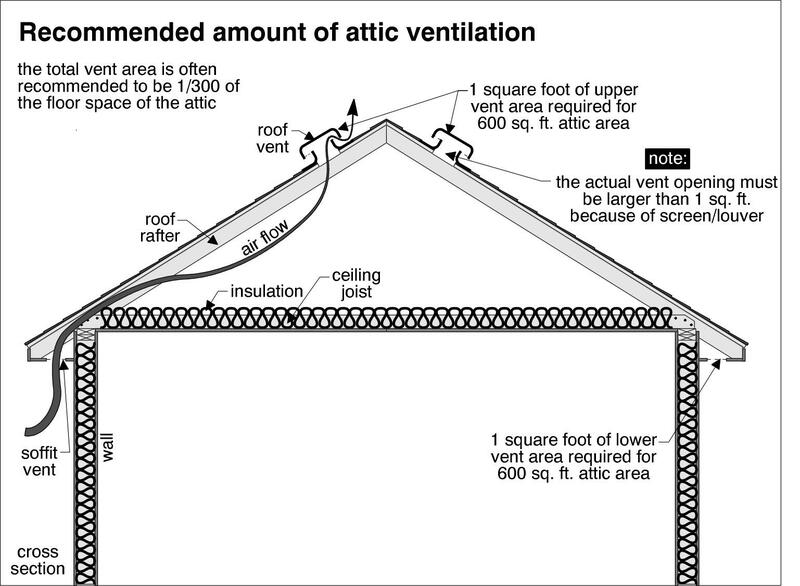 There are three main factors in the formation of attic rain: Pressure issues, Heat loss, and non-balanced attic venting. OLDER HEATING SYSTEMS have a chimney or “B” vent to exhaust hot combustion gases from the furnace. When air leaves the house through that chimney, it creates a negative interior pressure. That creates a slight suction, which will pull outdoor air into the building. The air outside is dry because it has very low amounts of moisture; as it is pulled into the building, it absorbs the moisture of the inside air, acting as a natural drying mechanism every time the furnace runs. NEWER HEATING SYSTEMS have no chimney. They use what is called a sealed combustion system. There is a sealed pipe into the furnace for combustion air and a sealed pipe out for exhaust, which results in no pressure change. It does, however, require a fresh air intake into the return air ducting to ventilate the home. Now, every time the furnace runs, it brings air into the house creating a slightly higher interior pressure, which forces air outward. Heat loss is controlled by the insulation and vapour barrier of your home. An adequate amount of insulation will slow the speed of heat loss from the warm side of your home. When there is an improperly installed vapour barrier, this allows warm air to seep into the attic. The moisture in the warm air will start to condense once it meets the cold temperature in the attic. This condensation accumulates on the underside of the roof as frost. Non-vented roofs operate on the principle that moisture can be controlled from entering the roof assembly. The building must have a tight building envelope. This is not a recommended application. The building code doesn't totally allow for it, the manufacturer may limit the warranty, and in most cases the longevity of the roofing system is reduced. 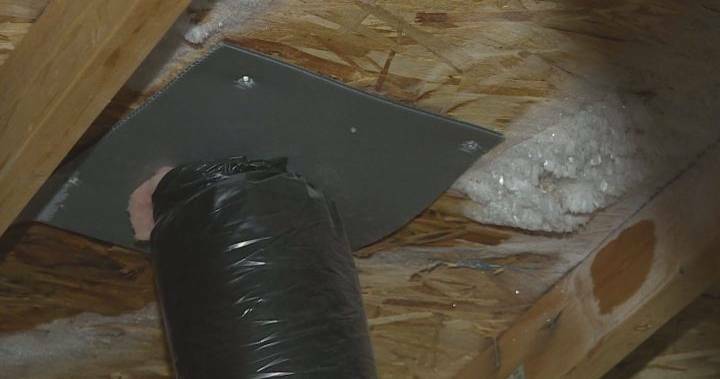 The venting of a home needs to be a balanced flow of air movement through the attic; this starts from the intake vents in the soffit/eaves or low on the roof’s edge, and continues to exhaust vents high on the roof at or near the peak so that the moist air can be flushed out of the attic. On a warm day, the attic air is heated on contact with the warmer underside of the roof. This is natural convection, which pulls cooler air from the soffit up towards the ridge. This natural air movement, with a balanced system of soffit and vents at or near the ridge, is the most effective means of venting the roof. Why should I reside my home? Does vinyl siding maintenance free? Not exactly. Vinyl siding doesn’t need to be painted or re-caulked, but it could use occasional washing. You can use a garden hose or a power washer on a gentle setting to remove dirt and debris from siding at least once a year. Be careful not to dislodge the panels or get water underneath them. It's vinyl siding, featuring a layer of strong foam insulation attached to back of the siding, insulated vinyl siding allows your home to stay warmer during winter and cooler during the summer for lower overall energy bills. Does insulated siding make homes more energy efficient/green? Described by developers as “green building”, insulated siding may be used to make homes more environmentally friendly. By reducing energy consumption, insulated siding can reduce air pollution. . . In addition to reducing energy consumption insulated siding is breathable, allowing water vapor to escape, which can provide protection against mold, rot and mildew and help maintain healthy indoor air quality. Fiber cement, comprised of wood fiber, Portland cement, sand and water, is molded and cured to resemble wood yet with higher durability and little maintenance. 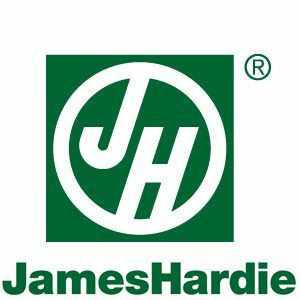 James Hardie fiber cement siding includes a warranty of 30 or 50 years when installed by a certified contractor. Why would I want fiber cement siding on my house? Fiber cement siding looks terrific. It looks just like wood down to the grain. It comes in a wide variety of colors, textures and patterns. It will never buckle, crack and warp the way normal siding does. Why should I install fiber cement siding instead of normal siding? What fiber cement siding accessories are available? Accessories include trim, such as corner posts and fascia; soffit, the panels that go under you eaves; gable vents and fixture mounts; J-channel, which is installed around the windows. All accessories are available in colors to match your fiber cement siding, Or choose accessories in complementary colors to give your home a more distinctive look. Accessories are carefully crafted to make the installation on your home look professional, while offering you the low maintenance cost of fiber cement. Will fiber cement siding look as good years from now as it does now? Fiber cement siding is designed to give your home a beautiful look that endures. Durable construction means that our fiber cement siding will stand up to the elements, no matter what type of climate. Over the years, you won’t have to worry about additional upkeep costs because fiber cement siding won’t rot, peel, warp or harbor insects like wood. Is fiber cement siding a good investment? When compared to wood, brick or stucco, fiber cement siding is an economical alternative that’s growing in popularity around the country for home of all sizes and styles. Since it requires little maintenance to keep its good looks, fiber cement siding can also increase your homes real-estate value. Depending on your insurance provider there may be savings found there. How can I see actual samples of siding that I am interested in? Lummerding Exteriors makes your selection easy by bringing samples of siding you are considering directly to the convenience of your home. You may also mix and match siding accessories such as installing accent colors on the corners of your home. I have aluminum siding can I switch to vinyl siding? Yes, Lummerding Exteriors can remove your current aluminum siding and install new vinyl siding on your home. Can siding be replaced in the winter? Yes it can be, but it may take us a bit longer to complete the project depending on the weather conditions. However, if you are installing the type of siding that needs painting, we recommend waiting until the weather warms up to ensure the paint applies smooth and dries fast. Should I make any preparations before siding work begins on my home? Yes, you will want to take down any breakable items off your walls. The exterior walls vibrate while installing the new siding and items can fall off selves and walls. Don’t forget to take items off the garage walls also such as hanging shovels and other items that could fall on your vehicles and cause damage. It is also helpful to cut back any over grown bushes and trees around your home so that the new siding can be installed. We install continuous aluminum gutter. Most houses have existing continuous aluminum gutters which are very economical and a serviceable, long lasting product. We use both 5" and 6" gutters. Your gutters should be tailored to your home's requirements. How Long Does It Take to Install Gutters? How Do I Know If My Gutter Needs Attention? Clogged or leaky gutters are one of the biggest causes of basement leaks, mold and other foundation problems. Also, standing water in gutters is one of the common places mosquitoes breed – mosquitoes are known disease carriers. Old worn out gutters look ugly and reduce the value of your property. Your old seamed gutters may have begun to pull apart or have drippy leaks and you would like to replace them. The drainage of your current guttering is not sufficient so you want to install a larger size gutter and downspout system. Most homes and commercial properties have 5 inch gutters with 2×3 downspouts, but we can install 6 inch gutters with 3×4 downspouts when necessary. Are gutters always replaced? Can they be Repaired? Why do people replace their soffit? When I look at my roof, I don’t see any hail damage. What’s all the fuss about? Hail damage can’t be seen very easily. The best thing to do is have your insurance adjuster actually go up on your roof and inspect it for damage. You usually will never see actual holes or indentations. Hail will drastically shorten the life of your roof. Imagine going up on your roof and hitting it a couple thousand times with a hammer. The effect is similar. You should check your exterior walls closely, preferably when the sun is a little lower in the sky (morning or evening). This will make it easier to see the denting. Old aluminum siding will show the damage more than wood or vinyl unless the vinyl actually has holes in it.